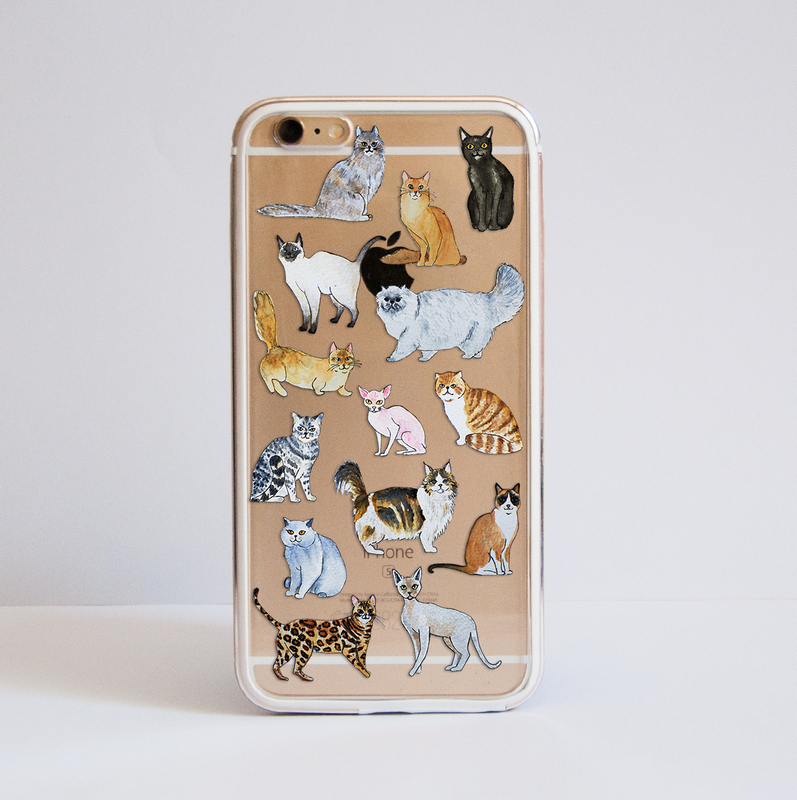 This case design is perfect for the cat lovers out there. We have selected our favourite cat breeds and illustrated them using watercolours to create an extra beautiful look for your device, which will help you express yourself in the same time. This cute Cats Phone Case is part of our collection inspired by the love for our gorgeous Pets. Each cat is hand illustrated, using watercolours to create the details and a bit more complex texture. The Clear designs allows your phone to be visible underneath, providing a natural metalic background. 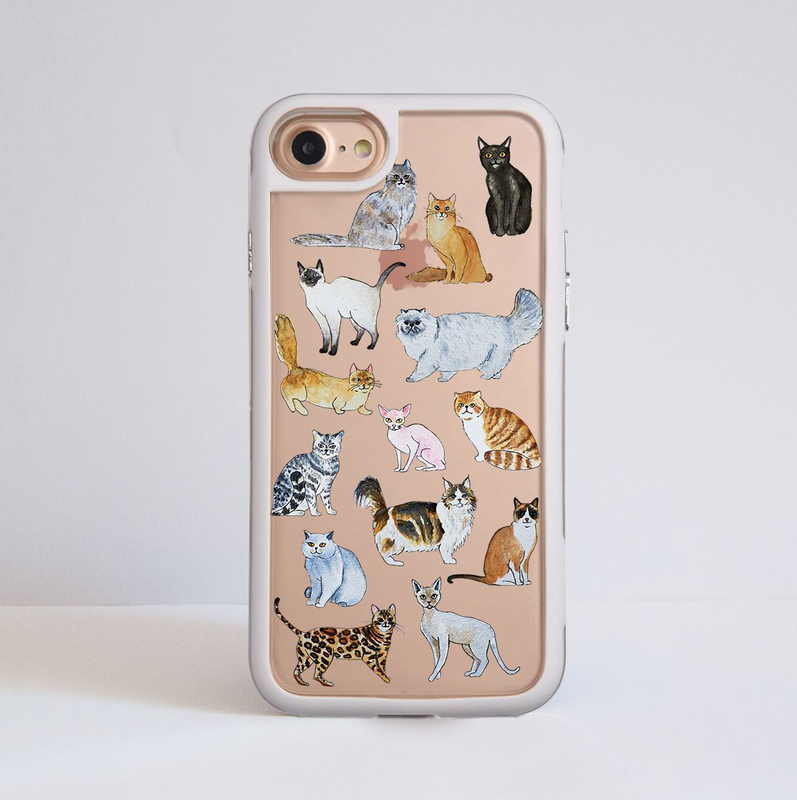 This case is inspired by all the cutie cats. The designs features some of the most beautiful cat breeds. Each one is hand drawn and illustrated using watercolours to achieve more complex texture of the artwork. 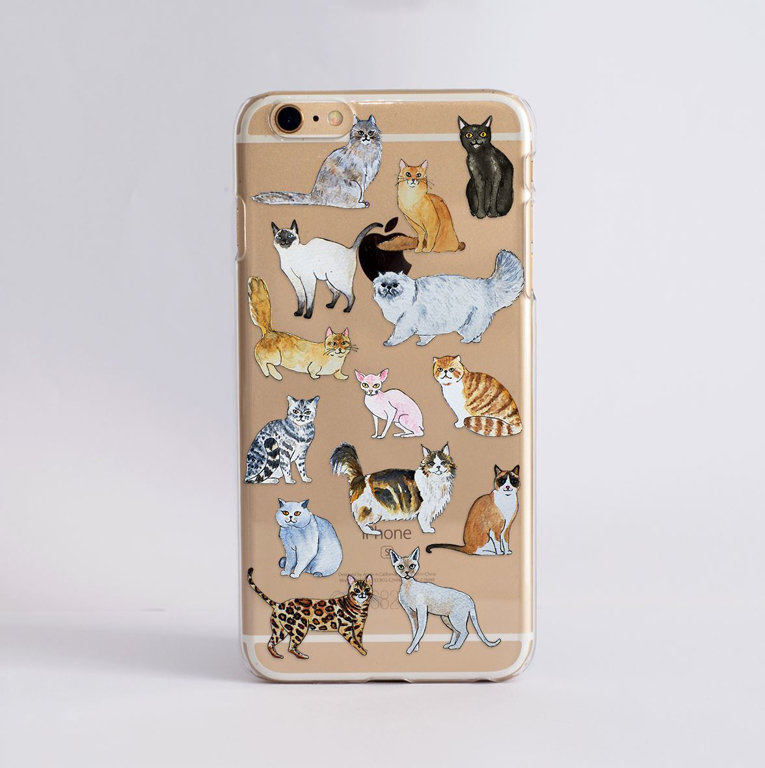 This phone case is a great choice for all the cat lovers out there. We use our phones all the time, so why not protected them in a stylish way? *They not only offer protection from scratches and bumps but are an amazing way to express yourself.